One of my favorite things about this time of year is the abundance of fresh produce and flowers readily available at local farms and farmers markets. Strolling through the markets overflowing with flowers and pumpkins, colorful produce and farm fresh goods is both relaxing and inspiring. There are so many wonderful reasons to buy local. Buying direct from the farmer saves money, as prices are most often much lower than prices at the grocery store – all while benefitting the local economy. Since the ingredients are coming directly from the farmer, this cuts out shipping time and provides the buyer with the freshest items possible. Because they are at their peek freshness, this often results in a longer shelf life. The longer the shelf life, the more opportunities the buyer has to enjoy the products and utilize them fully. It’s a win-win situation every time. Last but not least, I am so excited to tell you about another local farm in the Philadelphia area that is truly making a difference in our community. Heritage Farm, which is open year round, is an urban organic farm located in Philadelphia adjacent to The Methodist Home for Children (very close to The Belmont Mansion). It is a small organic farm that grows produce for the Home. Dedicated to educating the families and children of Methodist Home and the community about healthy eating and a healthy life style, they also provide resources for the children and families to learn about farming and agriculture, career training, and more by educating them on the process from seed to sale. Visitors are welcome to visit Heritage Farm’s weekly farm stand on Thursdays from 3-6 pm at the farm, 4300 Monument Rd., where you will find seasonal vegetables, fruits, flowers and herbs. See the website HERE for more information about the farm stand hours and dates of operation. 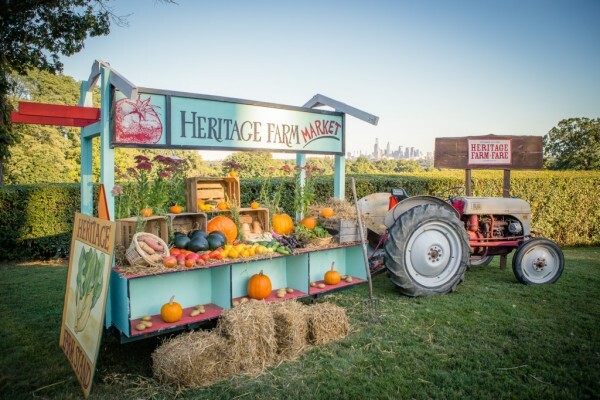 I am simply in awe when it comes to Heritage Farm’s mission and excited to share some information on an amazing Heritage Farm Fare Event coming up October 2, 2014 in Philadelphia. The Heritage Farm Fare event will take place from 6:30 PM to 8:30 PM at the Belmont Mansion property. Guests will be treated to delicious fare, created by local Philadelphia area chefs using fresh, local ingredients that are sure to enlighten the palate while enjoying breathtaking views of our stunning city. Proceeds from the event will be used to support the ongoing operation of the farm and its mission. What a wonderful opportunity to enjoy a lovely evening out while supporting such a worthy cause. Participants at this year’s event include Chester County Cheese Artisans, Russet, High Point Cafe, Winnie’s LeBus, Weckerly’s Ice Cream, DiBruno Brothers, Derek’s, and Bar Ferdinand. Go HERE to see the full list. To purchase tickets to this amazing event, go HERE. To keep up to date on this event and more at Heritage Farm, be sure to follow on Facebook and Twitter. Thanks to the generous folks at Heritage Farm, I am also joining with a group of local bloggers to offer an awesome giveaway that you are not going to want to miss! 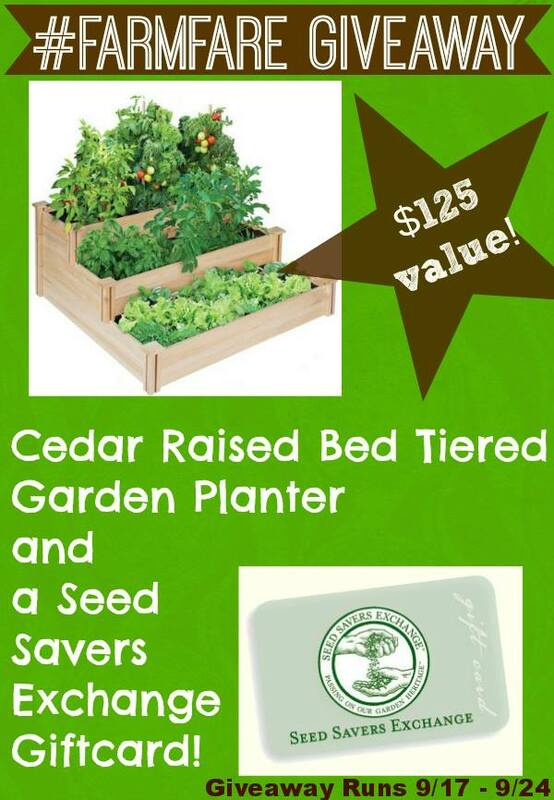 What a wonderful opportunity to create your very own special garden at home with this gorgeous Raised Bed Tiered Garden and $25 Seed Savers Gift Card ($125 value)! Simply enter via the easy Rafflecopter form below. One lucky winner will be selected on 9/24/14. Good Luck! Love this event! Such a fun night for a great cause! Thanks for the lists, I enjoy finding and visiting new farmers markets! This is a great list! Thanks! I hope I get to check out some of them! What an awesome list!! There are so many options! Heritage Farm Fare is a fabulous event. Thanks for highlighting it Kelly! Great list of places to visit!! I have yet to make a dent on that list. Thanks for sharing. This is a great list for local moms. We love shopping at farmers markets. I want this for herbs! I would grow tomatoes and cucumbers! Jeanine recently posted…7 Reasons To Get Excited About Fall! I hope I win the giveaway! I am really glad I found out about this event. I really hope to go. It looks like so much fun!